The Nisha 55mm 5FF Multi-Image Fanfold Filter can be used to create five identical representations of a single scene within one frame that are arranged in a semi-circular pattern which resembles an opened, folding hand fan. 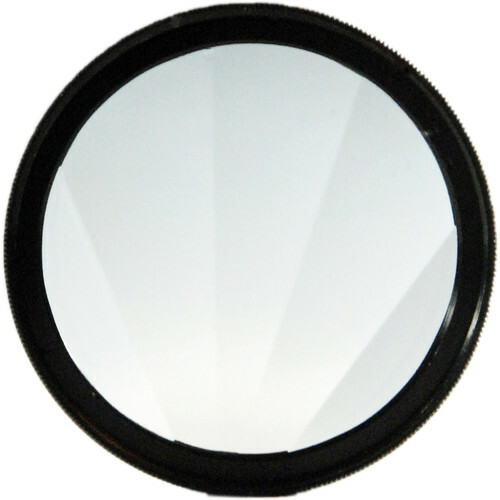 It is constructed from optical glass and features an aluminum-alloy filter ring that can be rotated to horizontally or vertically arrange the five images created by this filter's refraction effect. A leatherette pouch is included for storage and transport. Box Dimensions (LxWxH) 3.15 x 3.0 x 1.2"